This adorable cape cod is perched upon a hilltop and is ready to make memories with its next owners. 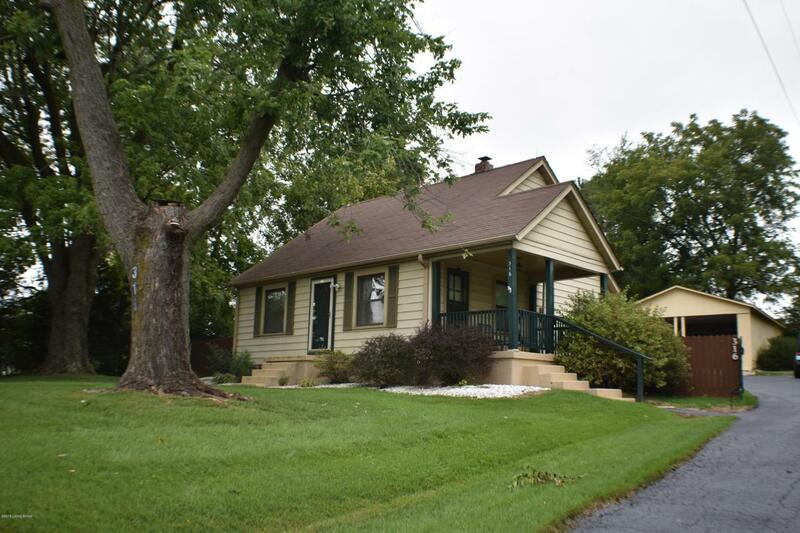 The house is surrounded by trees and has a nice, private feel but is close to schools and hospitals (in Elizabethtown Independent School district). On the main level of the home you will fi nd a large living room, two bedrooms (one with three closets) and a full bath, a kitchen, mudroom, and separate laundry room. Upstairs there is a large room that could be used for many different purposes; it would be perfect for an office space, a kids hangout or even a third bedroom. It also contains a second full bath. Outside there is a covered porch that would be a perfect spot for drinking your morning coffee. The backyard is completely fenced and gated and contains plenty of parking room plus a 2car carport that could easily be converted into a garage, a separate workshop and a shed for storage. This house has many updates and won't last long. Call today for your private showing!